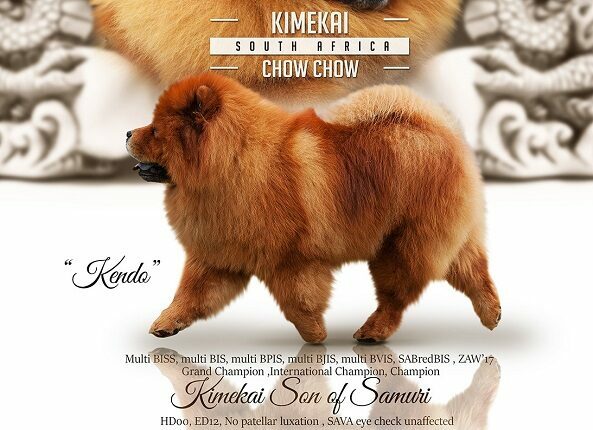 Kendo is affectionately referred to by his very large fan club as the chow chow with the sparkling eyes, golden heart and the colour of an African sunset. A highly awarded chow chow achieving more than "Fifty Shades of Excellence"! HD00 ED12 Patella Luxation00 Thyroid normal No entropian SAVA eye examination including glaucoma ( Iris to iris PPM in left eye, otherwise all clear).